Nicaraguan politics today is just so bizarre. I just read this fabulous portrayal of how surreal it all is, which I highly recommend. In it Julie recounts that the current FSLN (a strange mockery of its former self) promotes 'vivir bonito' and rather than rendering it literally as living pretty, she renders it as living nicely. I think this works well, since presumably they are not getting at living with more makeup, but living with more collective well-being. Though really, I'm note entirely sure what they're getting at and how it's different than the much more common term 'vivir bien' widely used in the left in South America, which I've blogged about before. It seems likely that Daniel Ortega just wanted to distinguish himself from Evo Morales and have his own version of the concept - but maybe there's more to it? Thoughts? 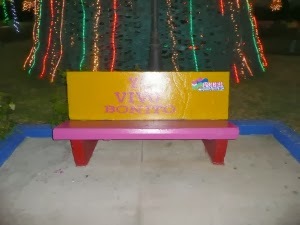 word on the street is that vivir bonito is also sometimes used in indigenous communities in Colombia. huh!